FSN2018 CV Class Winners are competing at TT circuit again this season to defend their title. 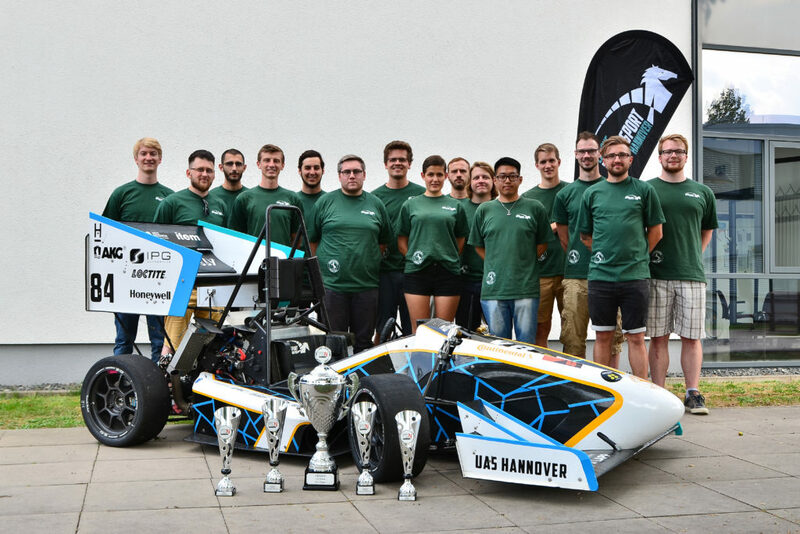 Founded in 2007, Campus Motorsport Hannover are determined to win more competitions for the 2019 season. The Campus Motorsport-Team consists of about 40 young, highly-motivated students. It was founded in 2007 in the area of mechanical engineering of the University of Applied Sciences Hanover. The Project Motorsport was brought to life in 2007. The team of 2008 and our supervising professor Prof. Dr. Lars Gusig went to the event in Hockenheim to get an idea of the competition and to collect some ideas for the following construction and production of our first single seat formula race car: the Pegasus 09. We had our first experiences with this car at the Formula Student competition in Germany and went with our following race cars also to the events in Italy, Hungary, Czech, the Netherlands and are also taking part in the FS Austria this year. Last year we won our first competition in the Netherlands. A great chance for defending our title! And also having as much fun as last year, too! We want to compete at a high level and hopefully be as successful as last year again, what means to win the competitions! But it is also important for us to have a great time with our team, to strengthen our team, establish new contacts, prove and apply our skills and to gain new knowledge. We participated already last year and really enjoyed it. We have the power and the strength of a small team, combined with strong-minded people that are focused on their goals they want to achieve for the project. At the formula student events we always create a joyful atmosphere, because of our great team spirit. Although we are a small team, we have many different nationalities and mentalities with equal chances for all members to develop and implement their ideas. Our first win in the Netherlands!